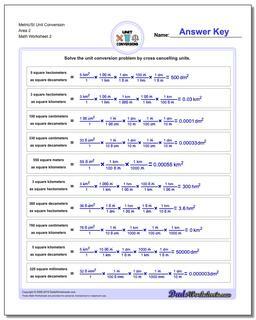 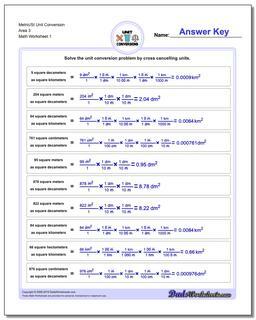 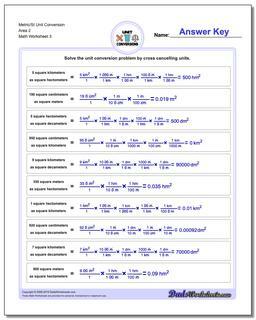 The worksheets on this page cover area conversion problems for converting metric/SI area to other square metric units. 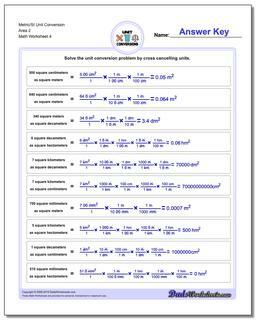 Area is the amount of space taken up by a two dimensional surface. 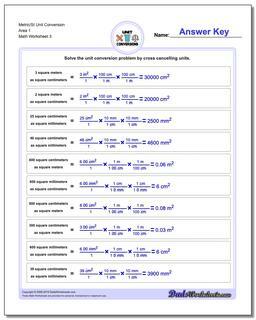 For simple shapes like a rectangle, it is calculated by multiplying the length times the width of the shape. 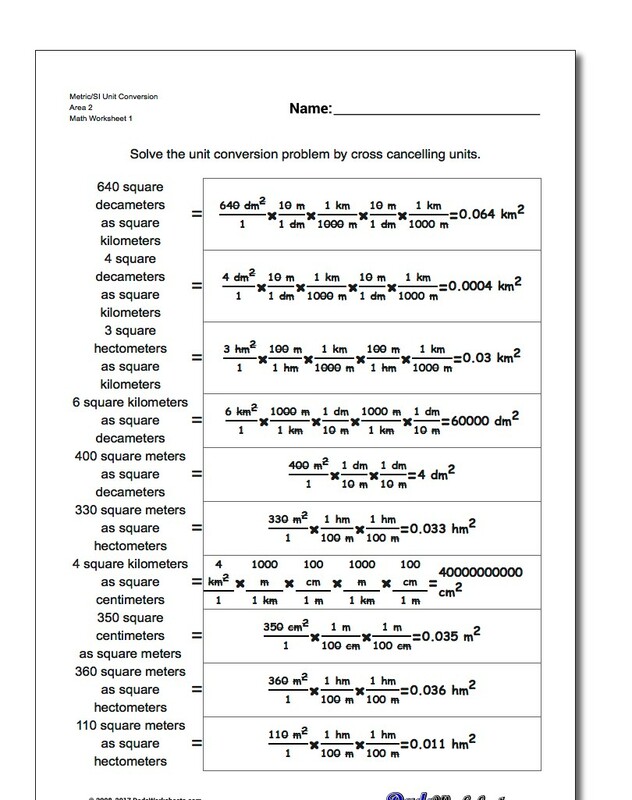 Converting area measurements requires a similar type of procedure where the conversion factor is used twice (one for each dimension). For metric conversions, because a meter contains 100 centimeters, a square meter has 100x100 as many centimeters. In other words, a square meter contains 10,000 square centimeters. 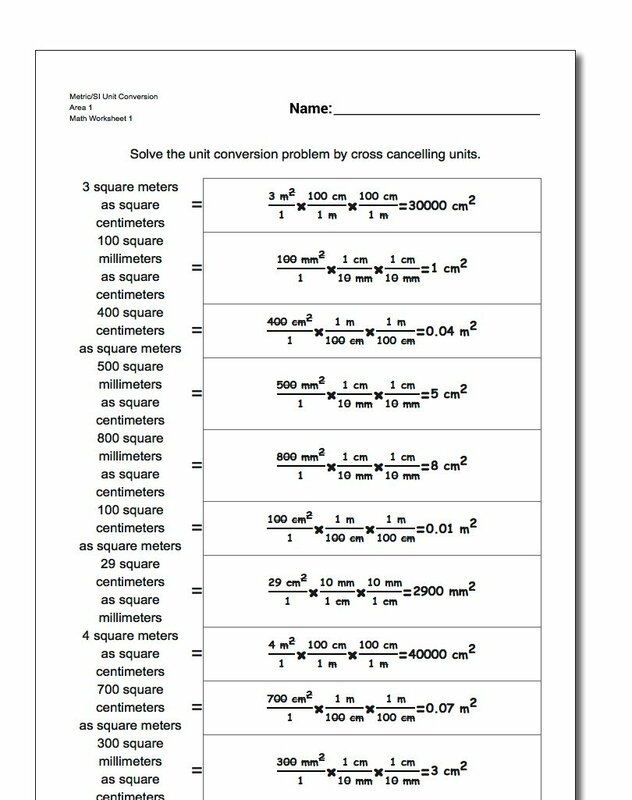 Similar calculations are used to convert square meters to square milimeters, square centimeters to square millimeters or vice-versa. 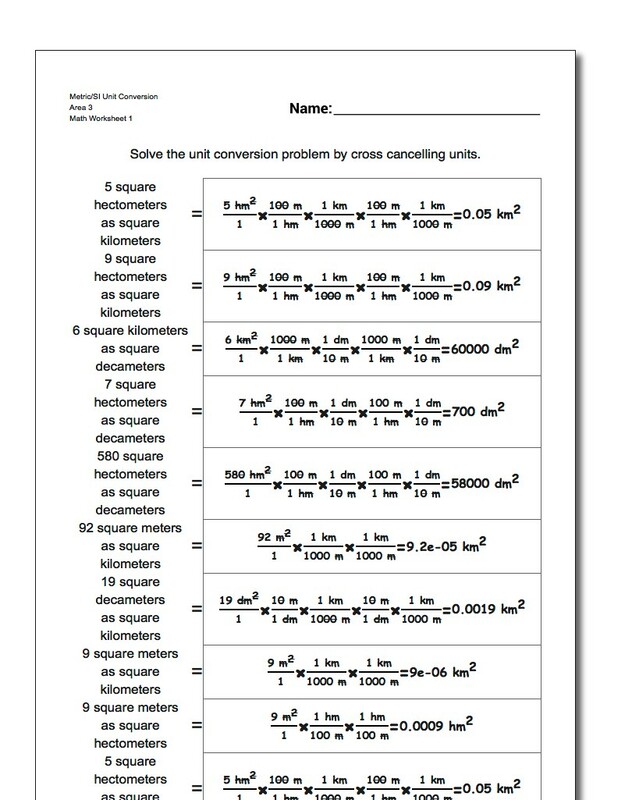 The metric conversion worksheets in this section focus on conversion of squared measurements from one area unit to another.